One of the benefits to programming of OpenCL is platform portability. That is, an OpenCL program that follows the OpenCL specification should, in principle, execute reliably on any platform that supports OpenCL. To assess the current state of OpenCL portability, we provide an experience report examining two sets of open source benchmarks that we attempted to execute across a variety of GPU platforms, via OpenCL. We report on the portability issues we encountered, where applications would execute successfully on one platform but fail on another. We classify issues into three groups: (1) framework bugs, where the vendor-provided OpenCL framework fails; (2) specification limitations, where the OpenCL specification is unclear and where different GPU platforms exhibit different behaviours; and (3) programming bugs, where non-portability arises due to the program exercising behaviours that are incorrect or undefined according to the OpenCL specification. 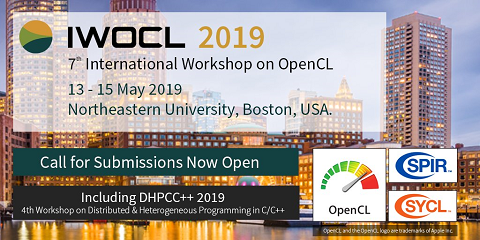 The issues we encountered slowed the development process associated with our sets of applications, but we view the issues as providing exciting motivation for future testing and verification efforts to improve the state of OpenCL portability; we conclude with a discussion of these.